As part of the T1 Research and Technology Cluster at the Institute for Translational Medicine (ITM), HIRO helps investigators orchestrate clinical trials with an imaging component so that the work can be done faster and in line with strict study guidelines. HIRO is currently involved with about 300 active studies spanning 15 fields across the university, and the ITM helps make it accessible by giving up to $5,000 through its Core Subsidy Awards to offset the costs of using HIRO’s services and those of other UChicago core facilities. In the last nine years, the ITM has awarded more than $779,000 to more than 130 investigators for core subsidy support. 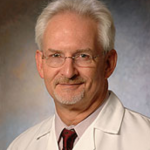 “A grant I received from the ITM to help cover HIRO expenses has been instrumental in making my lung cancer project feasible,” said ITM investigator Mark Ferguson, MD, Professor of Surgery. Ferguson is working with HIRO to create a database that tracks complications after lung resection surgery, or the removal of part of the lung, and how those complications relate to a patient’s core muscle mass. Low core muscle mass, or sarcopenia, is associated with an increased risk for health problems. “HIRO made the imaging process smooth and efficient, and they quickly removed patient information from the study’s CT scans to make sure they weren’t identifiable,” Ferguson said. There are a number of moving parts when it comes to the medical imaging used in clinical trials, from the Health Insurance Portability and Accountability Act (HIPAA) regulations to protect patients’ identities to Institutional Review Board (IRB) requirements laid out by a committee that oversees research involving human subjects. 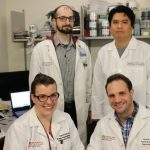 HIRO has handled them all since its creation in 2009 as an initiative of the Biological Sciences Division’s (BSD) Imaging Research Institute, processing about 100,000 scans for researchers’ studies in the last six years. Each scan can contain thousands of images, making HIRO’s processing totals easily surpass 44 million. 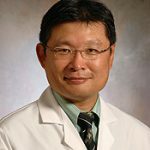 The office came to the aid of ITM investigator Seon-Kyu Lee, MD, PhD, Associate Professor of Radiology, Surgery, and Neurology, during his animal experiments for developing a new embolic (blood flow stopping/plugging/closing) material. Lee’s work required angiography, a medical imaging technique that uses an injected dye and X-rays to see the inner workings of blood vessels and organs. He used an imaging device called a C-arm to execute his angiographies, doing between three to five angiographies on each animal. The HIRO team helps accelerate research. Before working with HIRO, Lee had to use 3 ½-inch floppy disks to retrieve and store each individual image from the C-arm, with up to 75 images taken of each animal subject before and after its angiography. HIRO created a peer-to-peer network between the C-arm and a laptop using an Ethernet cable, which allowed the digital images to download from the machine directly to the computer. The HIRO team. Susan Fruth, Nicholas Gruszauskas, Michael Torno, Jonathan Marino. Lee said his work with HIRO has also been “seamless” when it comes to his clinical research projects and taking patient identities off images, a service that is a large part of the work HIRO does. “Having people who know how to do that correctly can actually help to reduce institutional liability when it comes to things like possible data breaches,” said Nick Gruszauskas, PhD, HIRO’s technical director. HIRO uses three teams to accelerate research at UChicago: the Image Acquisition Team, the Image Measurement and Analysis Team, and the Image Collection and Database Team. 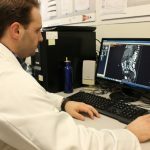 Research studies require standardized images, which can be difficult for busy radiology departments to coordinate without help. The three HIRO teams are an integrated response to that problem, Gruszauskas said, offering the expertise and process needed to obtain consistent, accurate images and analysis. But HIRO doesn’t stop there. HIRO is currently involved with about 300 active studies spanning 15 fields across the university. The team is exploring new avenues to improve and expand the services it offers both to UChicago researchers and other academic research institutions. 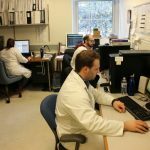 About a half-dozen people are on staff at HIRO, and this year the team is working to build a data request portal on its website and an alert system to notify them when patients are coming in for scans that require special preparation. Gruszauskas said they’re also considering how to scale and share their capabilities with research universities that are part of the National Institutes of Health (NIH) Clinical and Translational Science Awards (CTSA), the parent organization of UChicago’s ITM that comprises more than 60 universities across the country. To take advantage of HIRO’s resources, contact Research Imaging Coordinator Susan Fruth at sfruth@uchicago.edu or visit https://hiro.bsd.uchicago.edu. For funding to use HIRO, check out the ITM’s Core Subsidy Awards for financial support here. Copyright (c) 2018 Institute for Translational Medicine (ITM). All Rights Reserved.